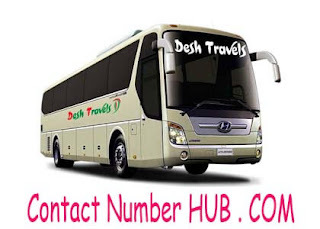 Desh Travels has inaugurated Rajshahi to Kolkata bus service recently. It offers the service from Rajshahi to Kolkata via Benapole border. This is the completion of a long-lasting hope and expectation of the people of Rajshahi and Rangpur division. Desh Travels is a private transportation company launched the service with luxurious AC chair coaches. The service offers a new dimension to the communication sector of the Rajshahi – Kolkata – Rajshahi route. It also expected that the service will develop the cultural and bilateral relationship between two friendly neighboring countries, Bangladesh and India. Mr. Shamsur Rahman, chairman of the Desh Travels was present in the opening ceremony of service. The Manager of the Desh Travels, Mr. Masud Rana said to the journalists that the bus service will provide benefit to the people of Jessore, Kustia, Natore and Benapole region directly. Moreover, the people of other districts of Rajshahi and Rangpur division will get advantages as well. He also added a bus will leave from Rajshahi at 07:15 AM and arrives in Kolkata at 03:15 PM through Natore, Kustia, Jessore and Benapole. On the other hand, it will leave from Kolkata at 03:15 Pm daily for Rajshahi. He said about the cost of the one-way trip is BDT.1800 per seat. The immigration cost is included with this. The owner of the company, Prof. Monzur Rahman added that this breakthrough will make benefited the common people of both countries in the field of education, trade, tourism, treatment and many other sectors. The renowned transportation company of Bangladesh, Desh Travels offer direct bus service to Rajshahi – Kolkata route. It offers comfortable AC chair coaches of Hyundai premium buses. Route of Rajshahi to Kolkata Bus: Rajshahi – Kushtia – Jessore – Benapole – Kolkata. Route of Kolkata to Rajshahi Bus: Kolkata – Benapole – Jessore – Kustia – Rajshahi. Ticket price is BDT. 1750 included the immigration charge. That’s all concerned to the Rajshahi to Kolkata Bus Service. Stay connected with us for the further update about this service. Furthermore, if you have any question or inquiries, please contact us or comment in the following comment box, we shall try to resolve your inquiries as soon as possible. And finally thanks to stay with us to read the piece of writing with persistence. Enjoy the bus-journey from Rajshahi to Kolkata.